The objective of OPGC is to provide safe, clean, reliable power to the community and we give the utmost priority to safety of its own employees, contract labourers, visitors, suppliers, vendors etc. 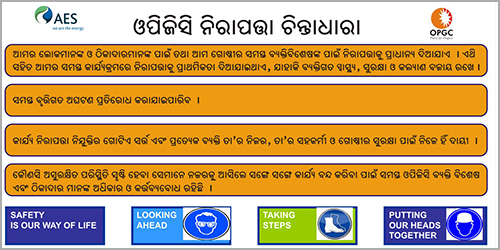 Its strategy for preventing accidents starts while entering into plant premises. It is mandatory for all employees to enter inside plant with safety helmets, safety shoes and safety glasses. Visitors, suppliers and outsiders are provide with safety shoes, helmets, glasses and a booklet containing emergency preparedness measures ( if any accident occurs during his stay inside plant) before entering into the plant. In case of any accident , dangerous occurrence, an internal inquiry committee is set up for investigating the causes and corrective measures are taken as per recommendation of that committee. All the happenings of accidents, dangerous occurrence, near miss case are intimated to Inspectorate of Factories & Boilers without concealing anything. The same are recorded for analysis, and intimated to statutory authorities. 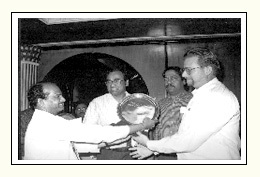 Safety and first aid training are imparted to all its employees by Expert Faculties from outside regularly. National Safety Day, Fire Day, Electrical Safety week, Chemical Disaster Day is observed sincerely to keep the awareness of safety among the people alive. OPGC has developed Standard Operating Guidelines, Standard Maintenance Practices for each equipment and also safe operating procedures for the process related jobs. We have a fully developed medical center with specialists and medical equipment. First aid boxes have been provided to each Department and almost all the employees have been imparted First Aid Training. It has developed On Site Emergency Planning for emergency preparedness. As the plant is handling chlorine, hydrogen and light diesel oil for the process requirement the company has developed its own evacuation planning, warning/alarm system, fully trained combat and rescue team. Regular mock drill is conducted for chlorine safety and fire safety where people undergo hands on practical training so that they can operate safety appliances at the time of accidents and hazards. The company has also extended the awareness campaign to local level. It conduct meetings and discussions among nearby villages for creating awareness on electrical safety and emergency preparedness for chlorine leakage. It has developed safety manual containing Permit to Work System for confined space, Hot Work and other Maintenance Jobs. The isolation procedures and release of permit are checked thoroughly to avoid any type of accidents. 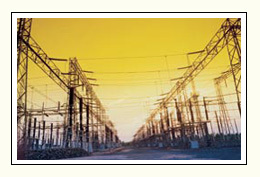 Safety Audits are undertaken every alternate year by different national agencies as well as by AES audit Team. 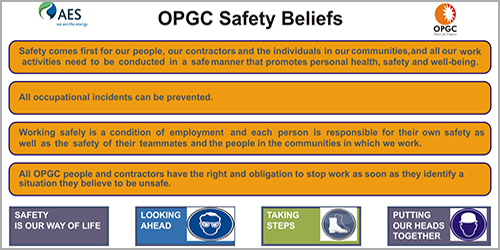 Driven by its commitment for Safe Power, OPGC has declared a well-defined Integrated EHS Policy in this regard.